Denmark postage is moving into the virtual world. Denmark is phasing out physical stamps for an easier, quicker and cheaper method of selling their stamps. Even though you can still get physical stamps at butiks, it is more common to buy stamps online or via your mobile phone. The system is called mobilporto and you can access it via either thier website or via an app. Yes, instead of standing in line at the post office and getting stamps, you can now pull out your mobile phone and buy your postage via PostNord. How does Denmark postage work. The most efficient method is to download the app. Just go to your favorite app store and search for mobilporto or go to the postnord website and download it from their page. The app is free. You will also need to have mobile pay, bank account or credit card attached to the app so your payment can be quickly processed. The cost of the stamp is automatically deducted from your bank account and a code is sent to you instantly. The system is pretty much the same if you have the app or go on the website. 1. If you go to the main page, you start by clicking "Find Prisen", and that will open 2nd page where you choose several things. First choose either letter or package, (letter is the default choice),next item is you put in the max weight. The increments as of 2019 are 50 g, 100 g, 250 g, 500 g, 1000 g and 2000g for letters. Packages will have 1 kg, 2 kg, 5 kg, 10 kg, 15 kg and 20 kg. Than you want to choose your destination. Both of these choices are made by clicking on arrow and thann highlighting your choice. See chart below. Click "søg" and the next page show you your choices. Usually there is only 1 choice, but sometimes there are 2 choices especially if you are sending a letter within Denmark. There you can get an express (next day) or regular mail choice. Do not choice next day unless it is vital. The delivery time is often the same, it is just the cost that is different and the difference is BIG money wise. 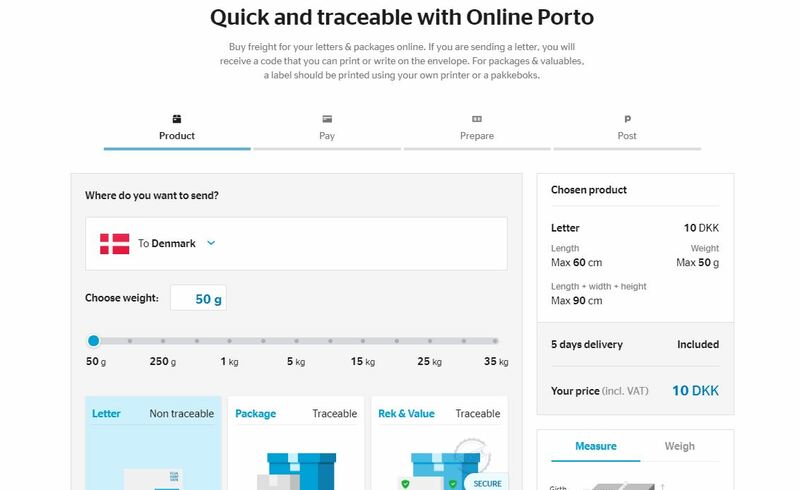 Now you have figured out the denmark postage cost of your item and you will see a green box which says "køb porto". Click on this and a new page comes up. Since most people find their postage the above way, I wrote it out like this. I got people writing often when I just wrote the following steps, which are quicker. You are now on the page where you actually order the stamps. On the app, this is the page which you will get and it is quicker to use. Unfortunately, you now have to reentered the same information you just did above, but it is a little quicker. Bookmark this page, and use it instead of their main page. Use the arrow to choose the destination and than put in the max weight. Remember to mark if the item is a document or goods (something of value). It is automatic that you are only purchasing 1 stamp, but you can ordered as many stamps/codes as you wish. Just change the number of stamps if you want more than 1. Each code will be different per stamp. Now click on the "send letter" or "send brev" button, review your purchase on the following page. Put in your email address and choice your payment method. Now continue to payment. You will now be sent a code of a combination of letters and numbers. See examples below. You can print this code out and paste it to your letter or package or just write the code on the letter or package in the upper right corner. The 9 digit code is your Denmark postage stamp. As soon as you pay, a new window appears with your code, plus they also send a confirmation email to the email address you listed on your order. It is your responsibility to make sure the code can clearly read if written on the item. It is your responsibility to make sure the code remains on the package if printed on a label. You may only use 1 code per item. You can not combine 2 codes if extra postage is needed. Remember, when you go on the Psot Nord site, they have an option for english, so it makes navigating the site easier. It says Dansk/Engelsk. Just click on Engelsk and the page will reload. I still have a beef with the Denmark postage system. Now that they do not even have post offices open, do not print stamps and yet their prices continue to rise! They say they are losing money. Duh! The reason the post office is losing money is because it costs more to send a letter across town than it does to receive a package from overseas! Hey, Post Nord - "Lower your prices and more people will use your service". More business -more money! I only use Post Nord when sending Amazon packages, since I can not use some the other services which are considerably cheaper. 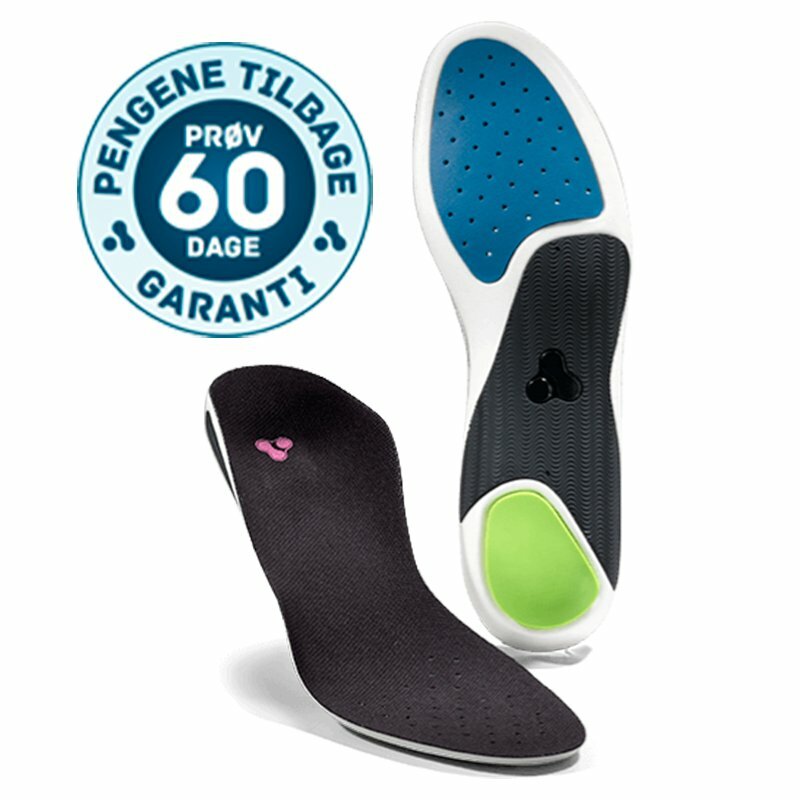 For examples, any packages sent in Denmark are cheaper with GLS Pakkeshop. I sell alot of things on DBA and use GLS to send packages for just 35kr. 35 kr can send a package up to 1kg and for 45 kr can send a package up to 10kg. Compare that to PostNord that charges, 60 and 90 kr respectively. The only time it is cheaper to use Post Nord is if the package is less than 100g and I can manage it for 20kr, but it takes a week to get there and GLS is 1-2 days ALWAYS. Another alternative, which I have only a little experience with is DAO. FedEx is also available, but quite expensive. DAO is being innovative and will be using them more. One of the unique ideas they have is that the name and address of the person sending and receiving the package is no where on the item. Only thing you write is a postage code. The postage code includes are the details. Simple concept, yet so unique. My only problem using them for overseas shipments is that they need email and text information on the recipient and that information is not available if using companies like Amazon and eBay who frown on giving that information out. More and more alternatives to Denmark postage is being developed by independant courier companies and PostNord is going to have to up their game if they plan to survive.